Highveld Landscapes was established in 2003 by David Masimamela. David started his career from humble beginnings in 1988 as a brush cutter operator for a local gardening service and spent the next 15 years working in various roles within this company. Prior to that David worked in a nursery for 10 years amassing a wealth of hands-on knowledge. 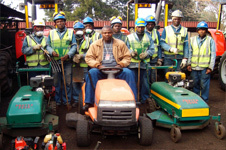 Whilst working for the gardening service company David’s responsibilities increased with time until eventually David was the supervisor managing 35 staff members for their biggest client namely Samancor who’s plant, situated in Meyerton, spanned more than 50 hectares which David’s team maintained to exceptional standards. 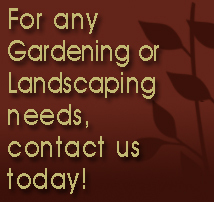 In 2003 David started his own landscaping business and was soon awarded the Samancor plant contract after David’s mentor in his previous company moved on. and compost plant which will launch during the first quarter 2010. Highveld Landscapes offers exceptional value for money and consistent attention to detail.